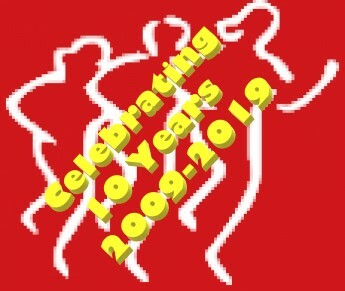 Thornton Cleveleys Running Club was formed in 2009 with the emphasis on Fitness and Fun. The Club currently has over 100 members of varying abilities from complete beginners to veterans with numerous marathons to their credit. We have qualified coaches and experienced members who are always happy to give support and advice. We meet every Tuesday and Thursday evening and are based at Poolfoot Farm Sports and Leisure Complex (Fleetwood Towns Training Ground), Butts Road, Thornton, FY5 4HX, parking, changing rooms and showers are available. We meet every Tuesday at Poolfoot from 6:45pm to start running at 7:00pm. Tuesday runs are in groups of similar speed and ability and if you are new to the club you will be able to run with members who are of a similar speed to you. After running you can enjoy a free hot shower in the excellent Poolfoot Facilities and join us for a drink and have something to eat from the extensive menu. Runners not showering/changing are asked to use the Awning area as a courtesty to other Poolfoot Customers. Remember we are guests and members should not bring in their own food or drink. The last Thursday in the month is usually our Handicap race where the faster you are the later you start the 3.5 mile race so that all runners should cross the finish line at around the same time. Other Thursdays are optional speed or hill training sessions and are geared for all abilities to take part and improve their running. If you’re coming for the first time please email the address below to check that weeks location as on Thursdays we don’t always meet at Poolfoot or check Social Media or this Website for latest details. The club holds championships every year for both Road and Off-road races where members earn points for competing in specific local races with 1 point going to the first member to finish, 2 to the 2nd, 3 to the 3rd etc. For the Road Championship the winners are those with the lowest total points from their best 8 races from the list of over 20 races. The Off-road championship is based on the best 4 races from the list of over 10 races. There are awards for overall winners and age category winners for both male and female members and everyone who completes either 8 championship road races or 4 championship trail races gets an award. In common with other running clubs we have Club Standards for both male and female members to achieve an award and measure their improvement over several distances. There are 6 levels of standard from the 1st level of Pewter to the top level of Diamond with different target times according to a member’s age group. Aiming for these standards encourages runners to run different distances with a standard being awarded when a member has achieved the required finishing time in 5 of the 7 distances. Tables of all the standards are on the club website. The club has its own Facebook group that you can join and keep up to date with what’s happening in the club. 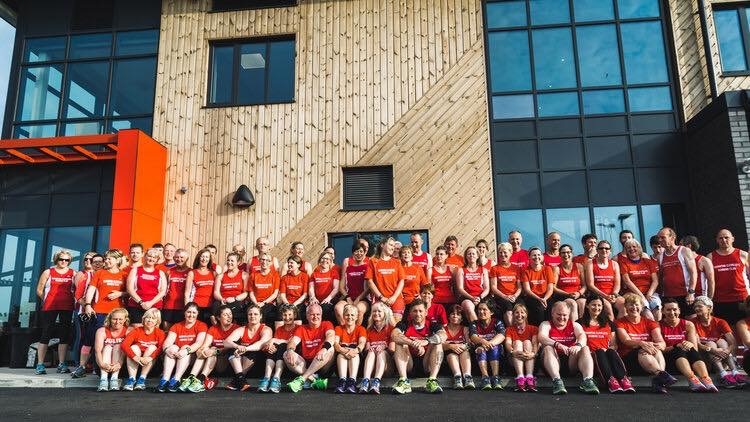 Members use the group to arrange weekend runs, share lifts to races, ask who’s running what races, share photos from events and generally keep up to date with other members. We also have a Facebook page which gets regularly updated with news. If you are considering joining the club, we are a very friendly club that will help you improve your running and if you wish, get fully involved in our social events and various team events that the club enters each year. If you want more information please email us at run-tcrc@gmail.com.